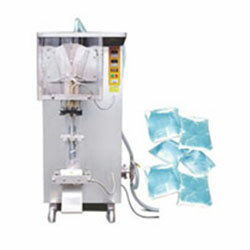 We are the prominent Mineral Water Pouch Packing Machine Manufacturer of India. Our high performance machines are fabricated sturdily and have high resistance to corrosion. These machines are user-friendly, easy to maintain and are excellent for high speed Pouch Packing in a very reliable, hygienic and fail-proof manner. They operate in a noiseless way and do not cause wastage. These are absolutely energy efficient and have high durability. 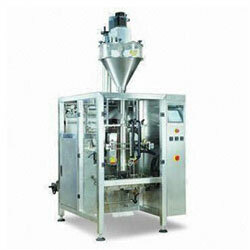 Our Packing Machine for Mineral Water Pouch are designed and engineered by our expert professionals. They are accessible in different specifications and can also be customized as per the requirements of our valuable customers. They are made using supreme grade materials and state-of-the-art technology in obedience with the set of industrial norms. We offer them at reasonable rates. Dimension 1100 * 800 * 1400 Approx. Speed 900 to 2200 Pouches / Hour.